How do you upgrade the facilities of a hospital while still running the hospital well - and meeting staff and patient needs? Elisa Knowlman, of Peddle Thorp, recently returned from the Australian Healthcare Week conference where she co-presented together with Steven Mairs from WSP Parsons Brinckerhoff as part of the ‘Retrofitting Healthcare Facilities’ focus day. 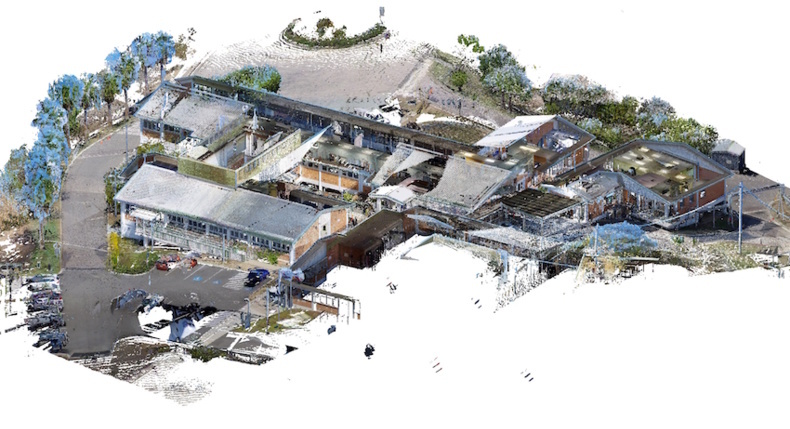 They spoke about the methodology used on various projects including recent work done on the refurbishment of the Bowen Regional Hospital for Queensland Health (a point cloud image of the hospital is pictured above). Elisa said Peddle Thorp uses technology to ensure the success of the methodology as well as foster information exchange and collaboration. “Tools that ensure accuracy and that everyone is on the same page means plans can be implemented within tight timeframes,” she said.